How can we bring a starry sky inside? 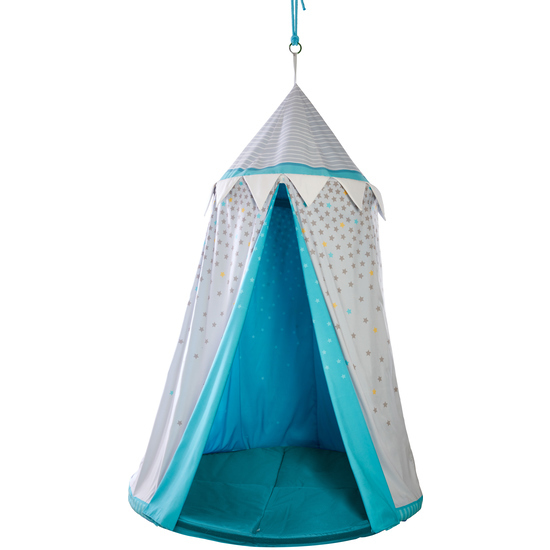 It’s easy with this beautiful hanging tent. Children can comfortably hide away and count the stars, play, read or simply dream. Comprises a snugly padded floor mat.